A Celebration of our Native Wetlands providing a hands-on community activity that draws together individuals interested in protecting the environment, restoring and maintaining our wetlands and their related ecosystems. 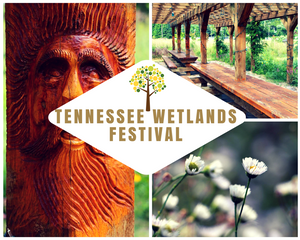 Please join us for the Fourth Annual Tennessee Wetlands Festival. This year we are teaming up with MooFest to celebrate Dairy Month as well. Plan on joining us for a fun filled day of learning about our environment, Mayfield's contests, fun games, food and entertainment. We are currently accepting Vendor applications for the 2019 Tennessee Wetlands Festival/Moofest. If you would like to become a vendor complete this form and return it via email or call (423) 744-2749. Deadline for vendor forms is Friday April, 19, 2019. The 2019 Tennessee Wetlands Festival/Moofest is FREE to the public and is made so through contributions from generous individuals, families and businesses within our Friendly community. This years Festival highlights include hourly Nature Classes and Presentations, Live Music, Food & Craft Vendors, Pony Rides, Fire & Bike Safety, and many other activities for Kids and Kids-At-Heart! If you would like to become a Friend of the Wetlands Festival/Moofest please complete the form and return it with your donation to Keep McMinn Beautiful. Any donation amount is accepted and very much appreciated. If you would like to become a Sponsor of the Wetlands Festival/Moofest please complete the form and return it with your donation to Keep McMinn Beautiful. The deadline for Sponsorship forms is Friday, April 19, 2019.